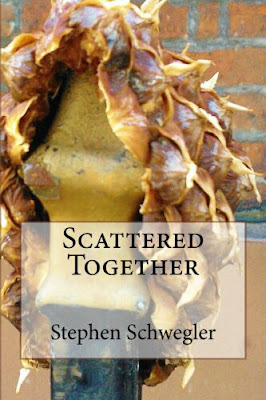 Stephen Schwegler's experimental fictional memoir, Gag, is about one man's struggles with anxiety and panic attacks; the author's. Blending stark realism and bizarro tendencies, Schwegler shows us just how devastating and unpredictable anxiety can be through this new storytelling method. So, here’s the thing. This book is actually set up as three smaller stories. Hold on, don’t go anywhere. I’m not done yet. Each one tells the same general story, but with different chapter sequencing and mood. This is why there are no chapter numbers, only titles. The reasoning behind naming this book Gag was due to “gag” being a palindrome and homonym. “What does that have to do with anything?” you might be saying. Let me explain. The next is “Dependence,” which is actually the previous version in reverse chapter order, hence the palindrome connection. The last one, “Desire,” is a jumbled up one. If you refer to “Despair” you will see that this third version essentially reads as chapter 1, 9, 2, 8, 3, 7, 4, 6, 5. The homonym connection comes from each chapter title also being one. Gag is an extremely personal tale of my own panic attacks and anxiety. A lot of it is based on real events. And a lot of it is completely made up.